SNAFU! 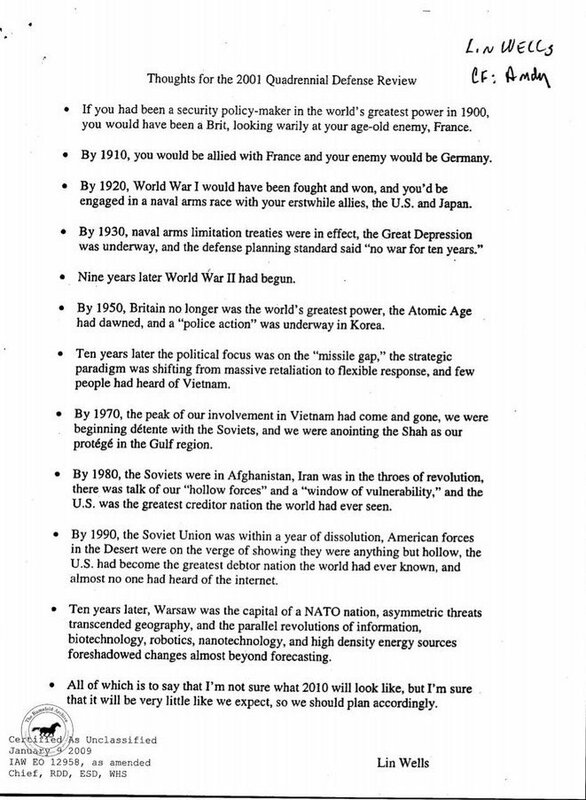 : Memo from Lin Wells to Rumsfeld in April 2001 on difficulty of prediction. Memo from Lin Wells to Rumsfeld in April 2001 on difficulty of prediction. via Michael Neiberg's Twitter Page. The future is a mystery. Plan your "today's" accordingly. What do I mean? Make commonsense plans that yield the best cost-benefit solution. Long shots rarely workout and seeking to maintain the status quo often leads to becoming irrelevant.